July, 2011. Took Aunt Betty Jo down to where she had the truck stored, to make arrangements for when I would come back and pick up the stake truck and bring it to Springfield. 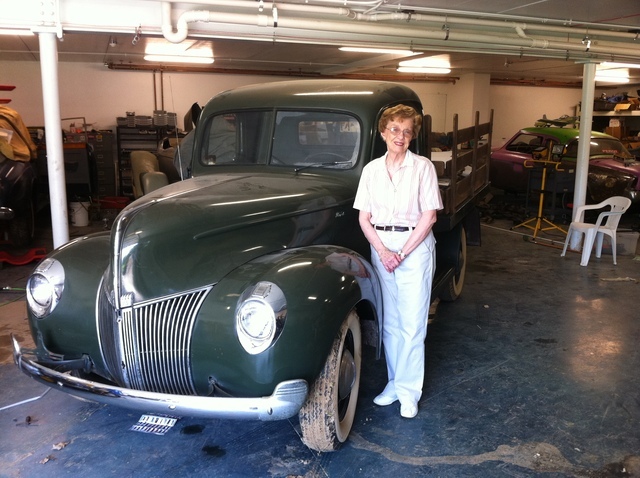 Ever since my aunt passed along the care taking responsibilities for the ’40 Ford Stake truck to me, February 2012, I would never have dreamed that it would have impacted my life like it has. 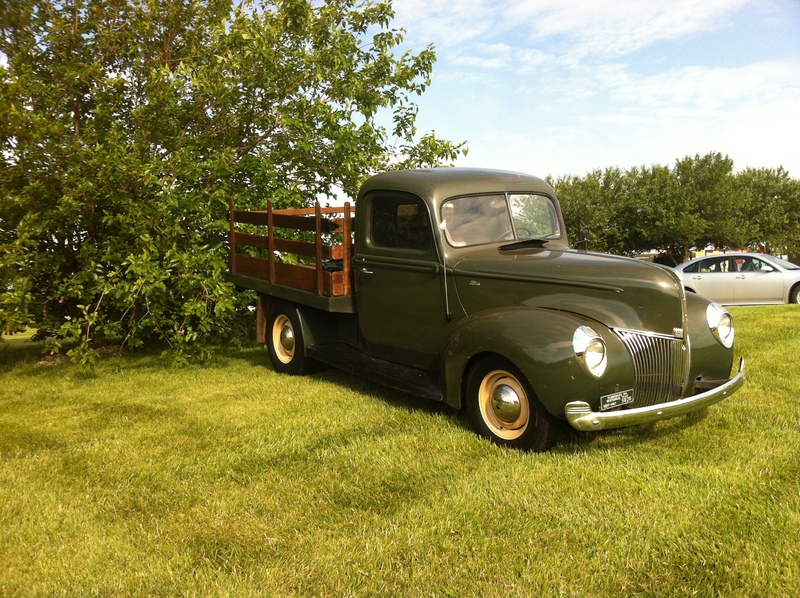 Let’s face it, the truck is not a “hot rod”, it’s not a “restored” antique, it’s not “show quailty”. 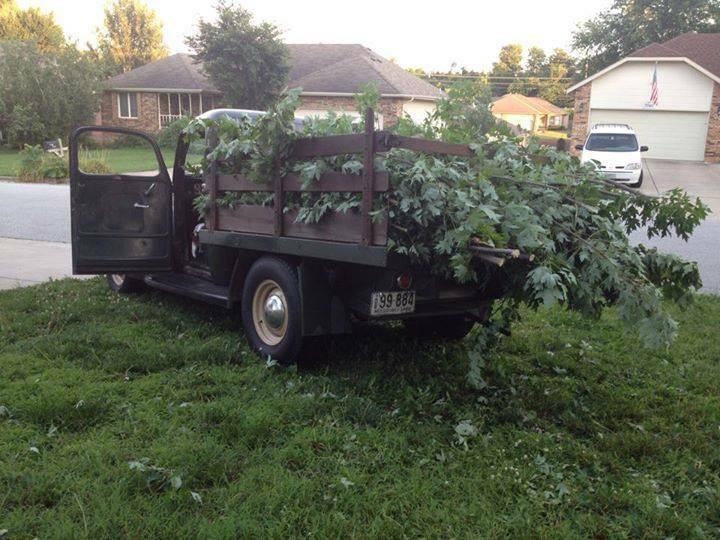 It’s an old “farm truck”. 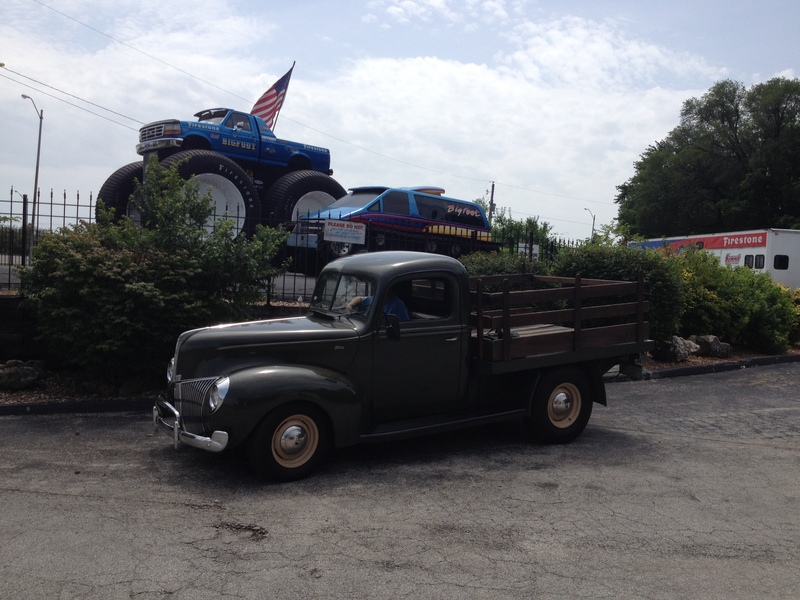 Yeah, I’ve done a few things to try and reflect a bit of my personality with it, like the raked stance and a set of big and little radials, but overall, it’s the same truck that I grew up around. In the short amount of time that the truck has lived at my house, it’s taken me on some pretty fun adventures. While I was reflecting on it being in Kyle and Tay Wynes wedding, yesterday, I thought it would be fun to post some photos from the many adventures in the truck. February 26, 2012. 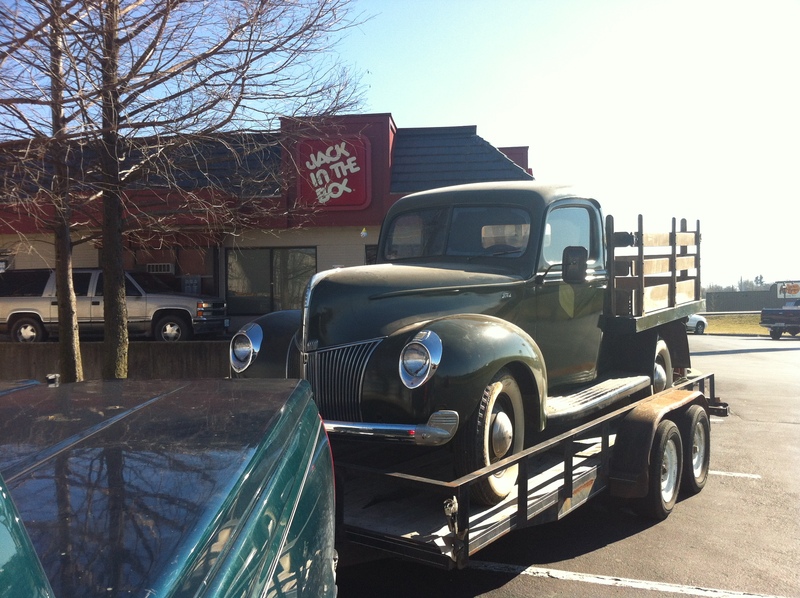 The truck’s trip to it’s new home in Springfield. 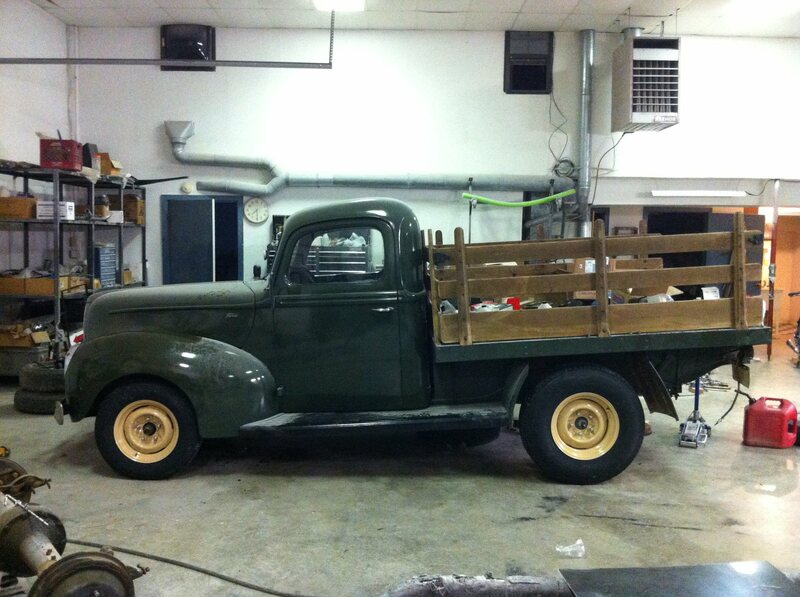 The first day with it’s new wheels and tires, with stock springs still under the truck. 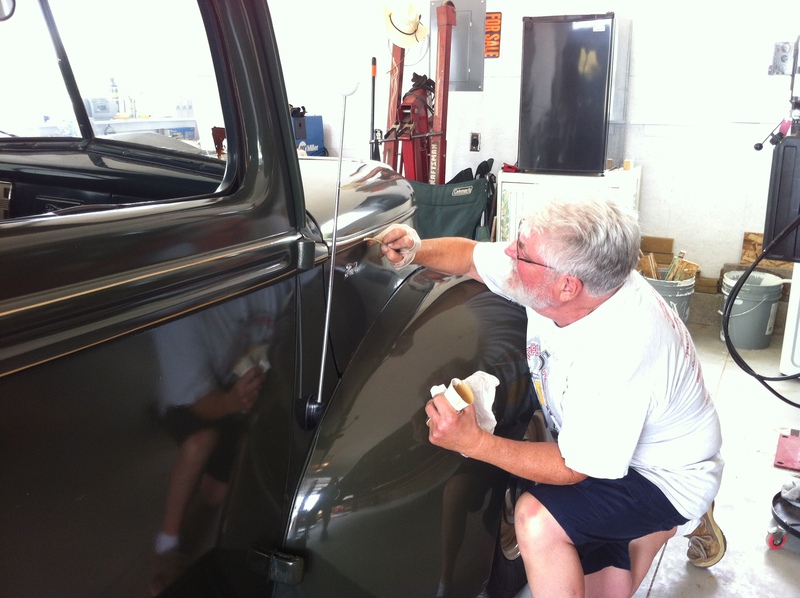 Aunt Betty Jo always wanted to have Dale West apply some pinstripes to the truck. I had the pleasure of taking it over to have him do his thing, then Sherry filled me full of her wonderful lasagna! 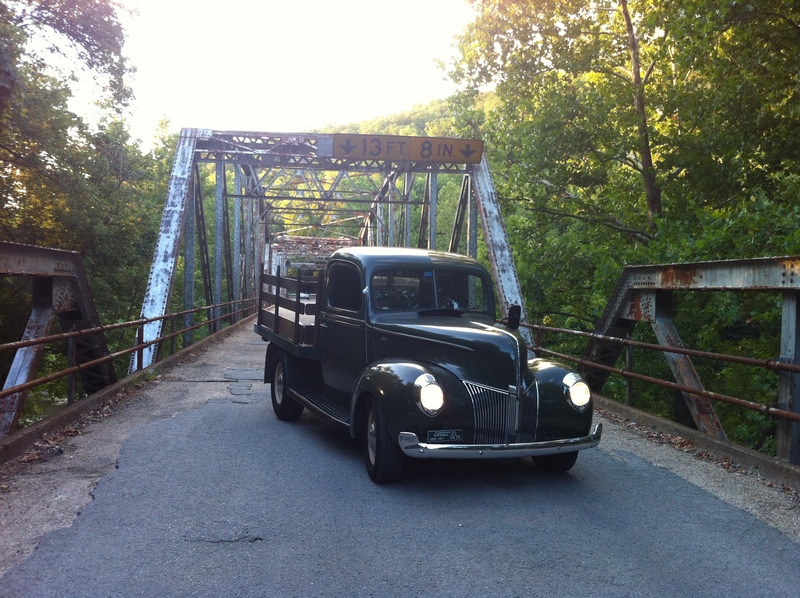 The bridge at Devils Elbow, MO. I was recently contacted to grant permission to use this photo on the cover of a novel that is currently being written. Pretty blown away by that request! Sometimes, the truck actually has to work, as was the case when a tree got blown over in one of our friend’s front yard. One fall day, cruising over to see Doug, at Show Me Rod & Custom. 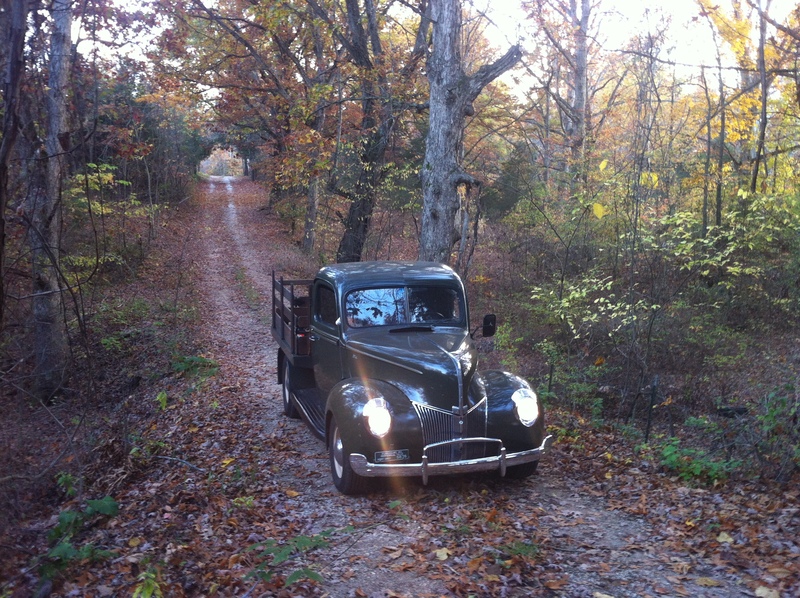 Couldn’t resist taking a photo on the driveway on that fine fall day. 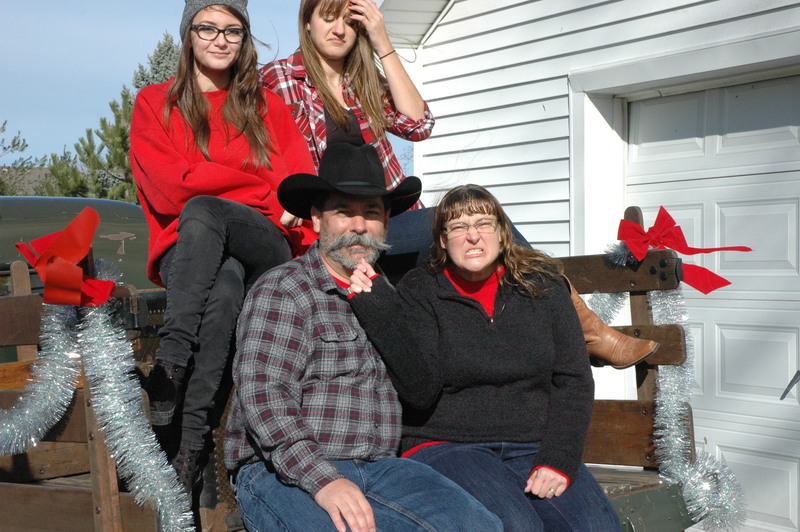 I finally talked the girls into using the truck for part of our Christmas photos, in 2013. This was one of the “outtakes”. 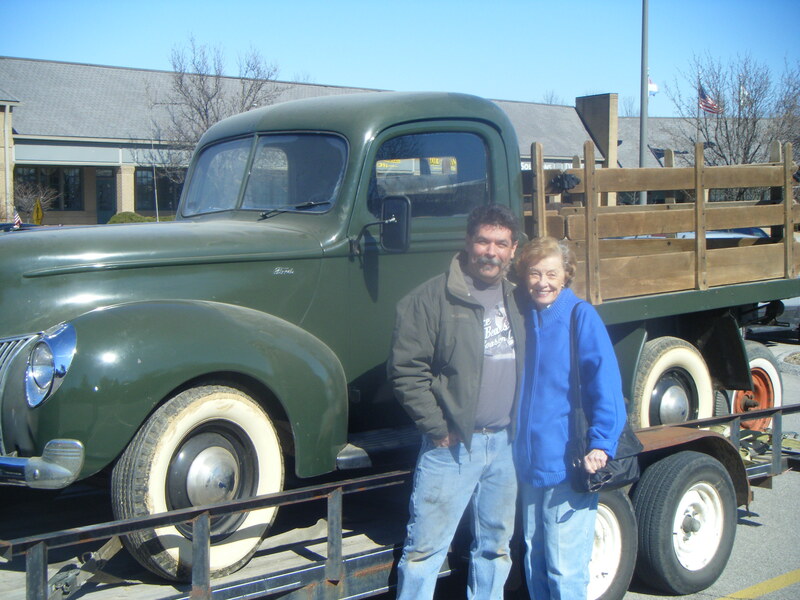 On the trip to St Louis, to Dickie Carroll’s annual hot rod breakfast, Doug and I ran over to Illinois, to look at the Model A coupe body that he eventually bought. I took a few minutes out of the trip to get a photo with Bigfoot. 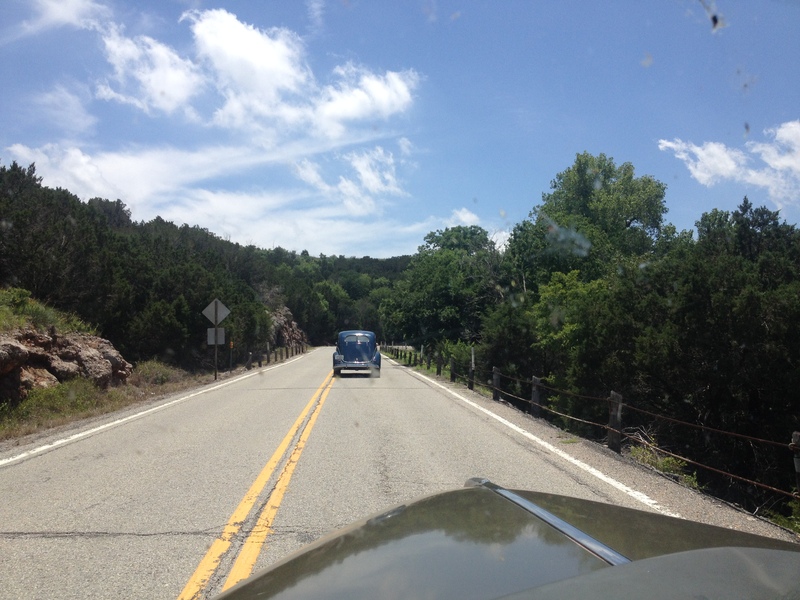 Following Clay Vance, down near Turner Falls Park, OK, while on the 1st Annual Oklahoma City area Hot Rod Hundred Reliability Run. 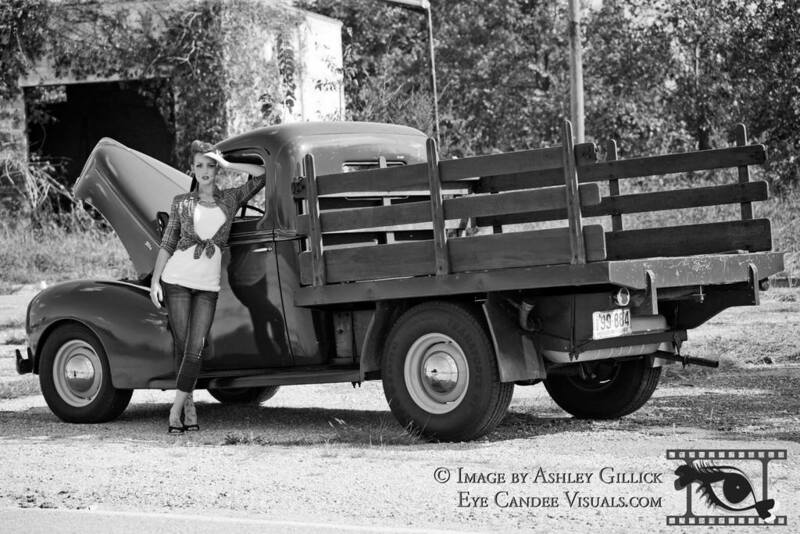 The truck’s first professional photo gig, with Ashley Gillick, of EyeCandeeVisuals and Julia Hart Whitney. What a blast! 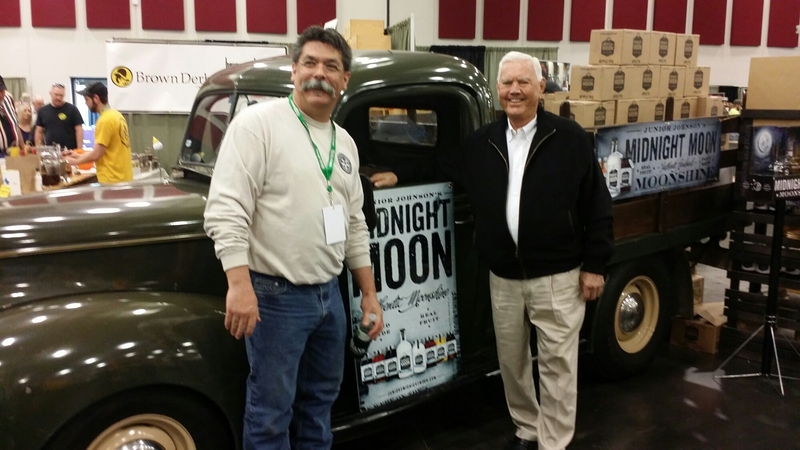 The truck got me the opportunity to meet NASCAR Legend, Junior Johnson, at the 2014 Man Show. 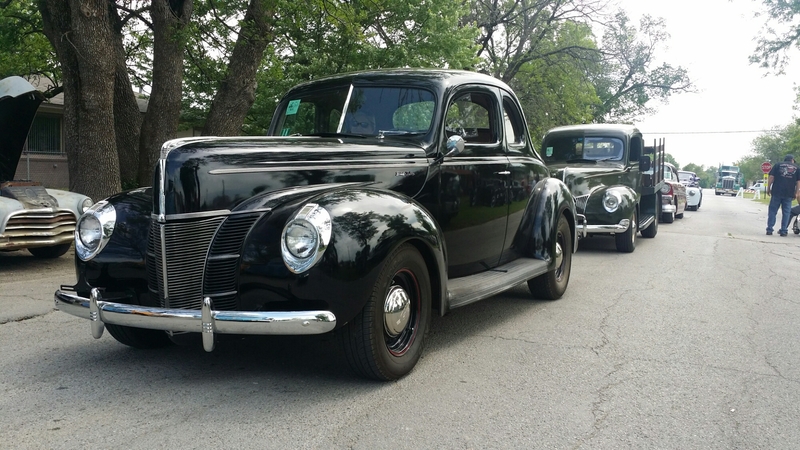 In the award line, at the 2015 Stray Kat 500! 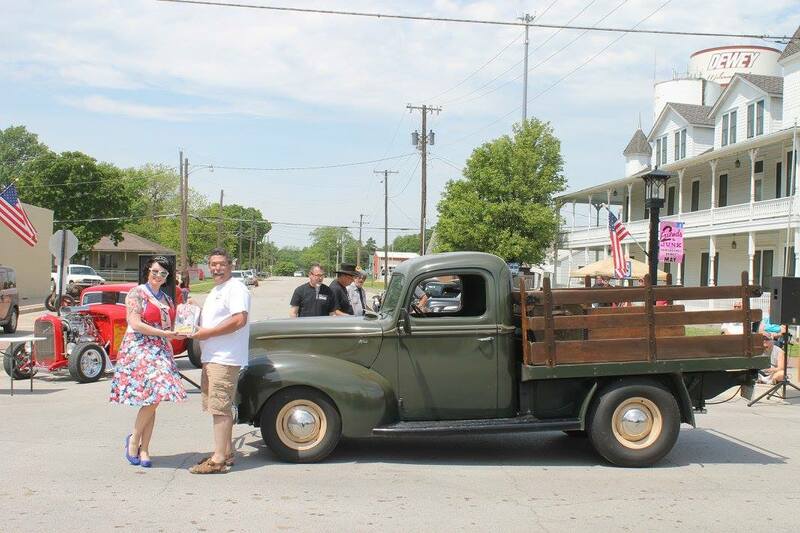 Being awarded the “Kool Hot Rod” prize at the 2015 Stray Kat 500, over in Dewey, OK. This photo was after I proved what kind of idiot runs their vehicle out of gas in the award line!!! 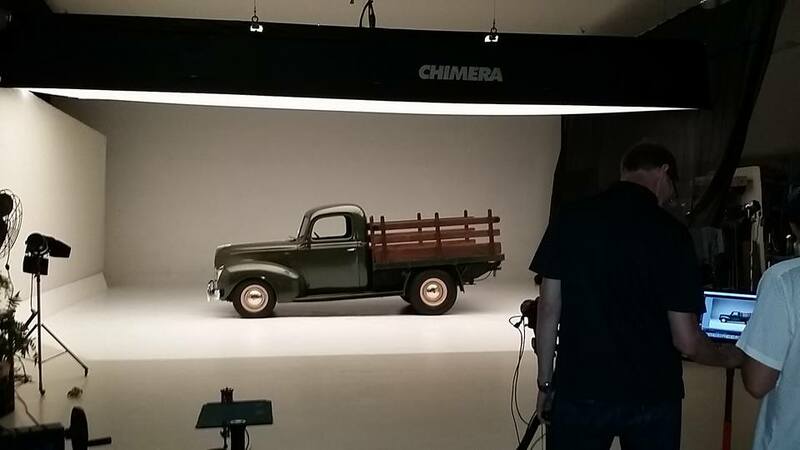 One of the photos I took, while the professionals shot a photos of the truck for American National Insurance Company. Taking it’s part in Kyle and Tay Wynes wedding. 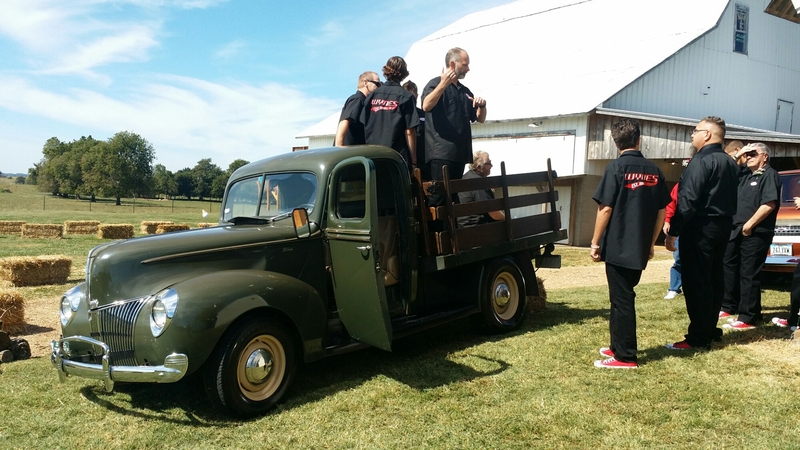 It got to haul in all the guys to the wedding area at Keith Farms. 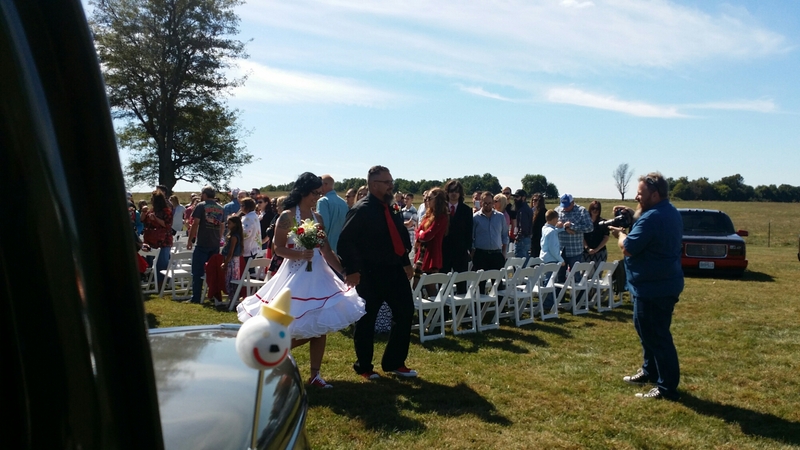 The newlyweds, leaving the wedding ceremony. Jack appears to be winking. Seems he must know something about honeymoons! Lots of fun, and close to 15,000 miles later, there’s been lots of memories made in a fairly short amount of time. The truck has taken me to places where I have met a whole lot of folks that I can now count as friends, and that is probably the coolest gift that a guy can ever get. I’m looking forward to what comes next, in the little truck.